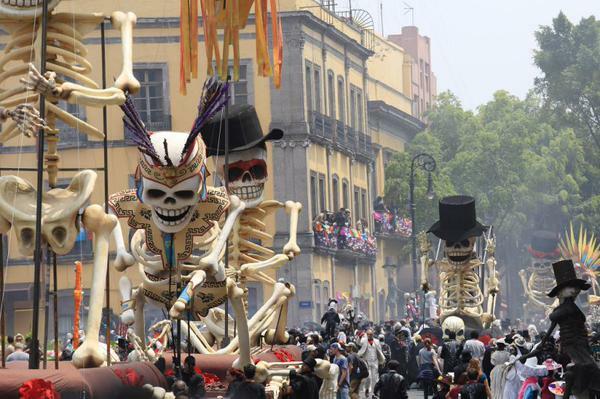 The latest SPECTRE vlog takes us behind the scenes of the elaborate Day of the Dead Bond opener with 1,500 extras in full costume. There’s no action here but if you look closely at the latest TV spot, there’s a chase and a helicopter fight. This has the all the makings of the first traditional pre-credit sequence of the Craig era. The only question is: Do we get the gunbarrel back in its proper place? We’ll find out Nov. 6 when SPECTRE opens stateside.